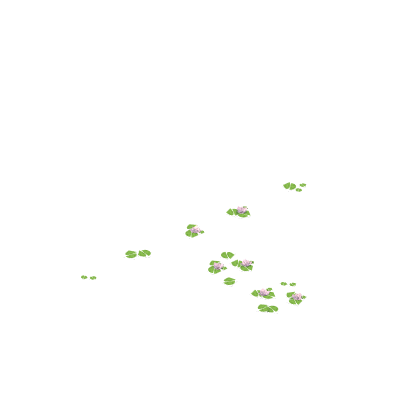 I have created new immovable graphics for water lilies as decoration for lakes and the like but have found no way to place them on water... is there any way to achieve that? And if not are there others interested in such immovables? I have also added a floating animation of 4 frames which is not included in this preview. I have made new terrain types of water which also includes Water Lily. Implementing this needs some changes to the code, otherwise animals will walk on this types of terrain. The code change seems not trivial, so the new terrain types aren't implemented yet. but have found no way to place them on water... is there any way to achieve that? Immovables can't be placed on water yet. You can try a trick though: Place the immovable on land type terrains (e.g. meadow) and afterwards change meadow into terrain of type water. It would be really nice to have these!